Tampa Bay Rays "Honor Pass"
Looking for something fun to do indoors? If you love baseball, then all you have to do is head to The Trop! To show their support and gratitude for our Heroes, the Tampa Bay Rays are currently offering "Rays Honor Passes" to all active duty and retired military service members and veterans. All qualified pass holders may obtain TWO complimentary tickets to as many games as they would like to attend for the remainder of the 2015 regular season. We are so excited that the Rays want to give back to our hometown heroes! 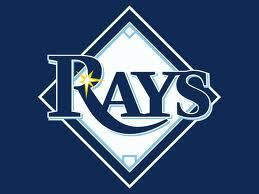 Rays Honor Pass today, and we'll see you at Tropicana Field! 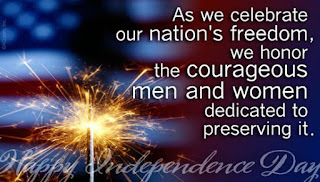 Happy Fourth of July from Healing Heroes Network! The Fourth of July makes us think of fireworks, barbecues, parades and get-together's with family and friends... These privileges and liberties we take for granted would not be possible without the courage and bravery of our nation's service men and women. Today, amidst the chaos, parties, food and fireworks, we hope that you will take a moment to THANK A HERO, and pay your respects to those who made the ultimate sacrifice for us to enjoy this inspirational, American holiday. From all of us at Healing Heroes Network, we wish you a happy and safe Fourth of July!